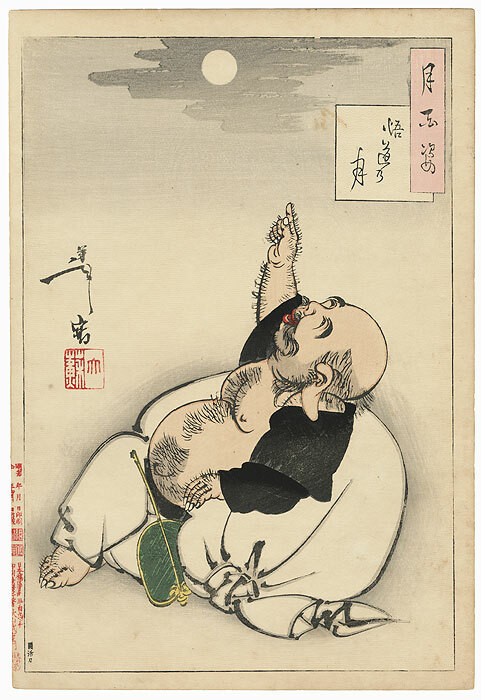 Moon of Enlightenment - Charming print depicting Hotei, the god of happiness and good fortune. 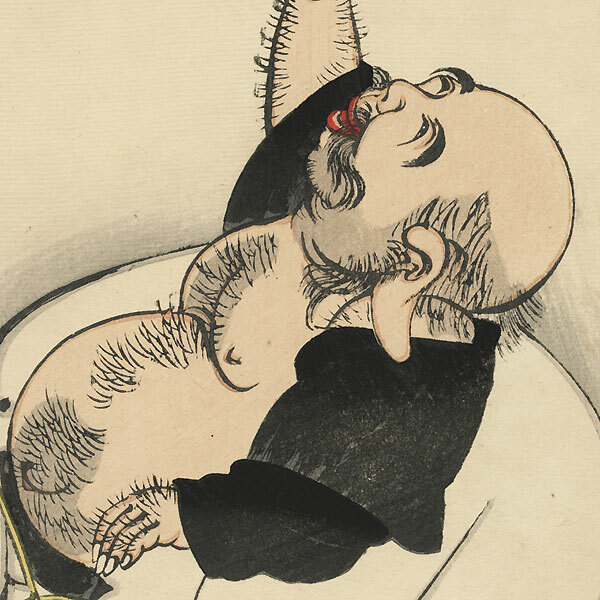 One of Japan's beloved "Seven Lucky Gods," Hotei's name sounds like both "linen bag" and "round belly," so he is often shown with his large belly exposed. He relaxes against his bag filled with treasure, grinning and pointing with delight at the full moon as it suddenly appears from behind the clouds in the sky. Nicely drawn with calligraphic line work and fine bokashi shading. Condition - Nice color and printing quality. 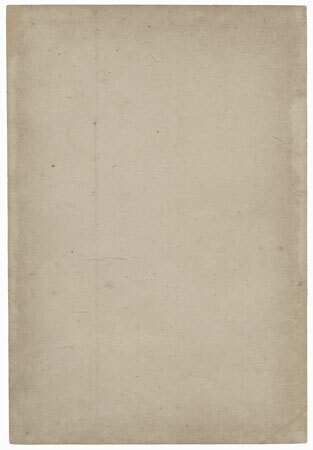 Nice large margins, as shown. Backed with paper from previous folio inclusion. Slight soiling. Minor stain. Good overall, see photos.